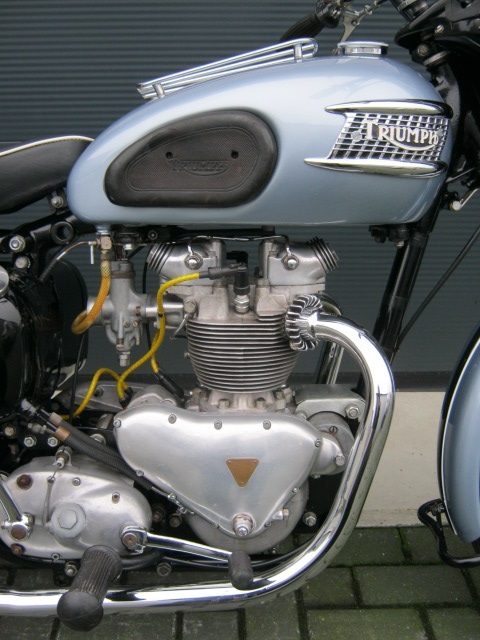 Proper Triumph T100 Tiger (with the alluminium engine) from 1954. 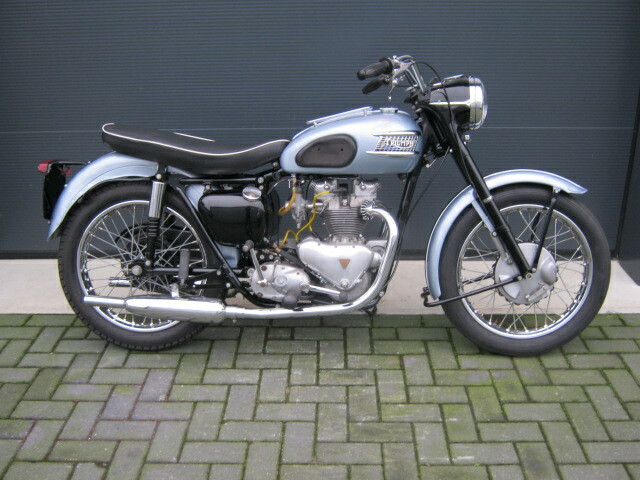 This motorcycle has been totaly restored and rebuilt. 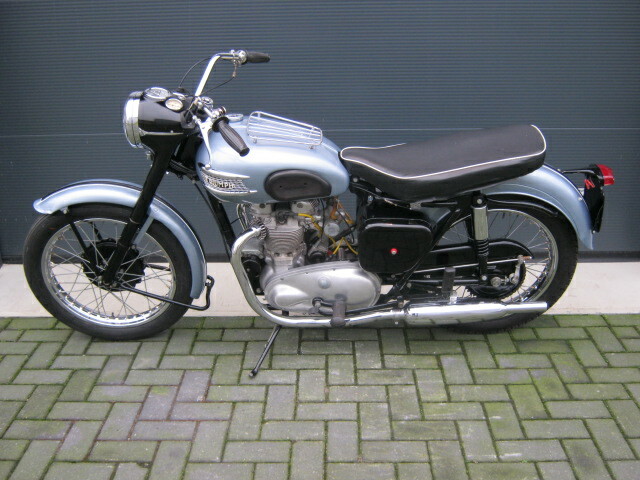 After that the previous owner rode it for about 100 kM and put it on his attic where it styed for 20 years, so it has to be started up again. Comes with foreign document.